HOA Political Section Provides Reliable Info to Get Knowledge From! HOA's Political Section Provides Reliable Information! This is the HOA's Political Section of the HOA's Political Scene. It is the sitemap 12 in this network, which continues from the site map 11.
hoa-politicalscene.com/political-section.html - Political Section: The power of political thinking isn’t made up today. It has history of good resourceful reading & some good political practices. It's here to help you browse the website easily since it starts to grow continuously. So, you can either reach all the pages in this site map below or continue reading this introduction to get the full picture. Since the Political Site Map 11 includes the home page, the blog, the site map, the political inspiration, the newsletter, Horn of Africa, political sense journal, the HOA's projects, Djibouti and Eritrea, the site map 12 continues to the rest of the countries in the Horn of Africa. You can visit Ethiopia, Kenya, Somalia, Sudan, and Uganda through this sitemap to complete covering all the countries in the Intergovernmental Authority on Development (IGAD). hoa-politicalscene.com/political-section.html - Political Section: Sudanese People's uprising in Sudan... but, the uprising lacked something. We are about to capture and control it. The HOA's Political Section spreads to some other African countries that have political impacts on this map like Chad and the Democratic Republic of Congo (DRC). 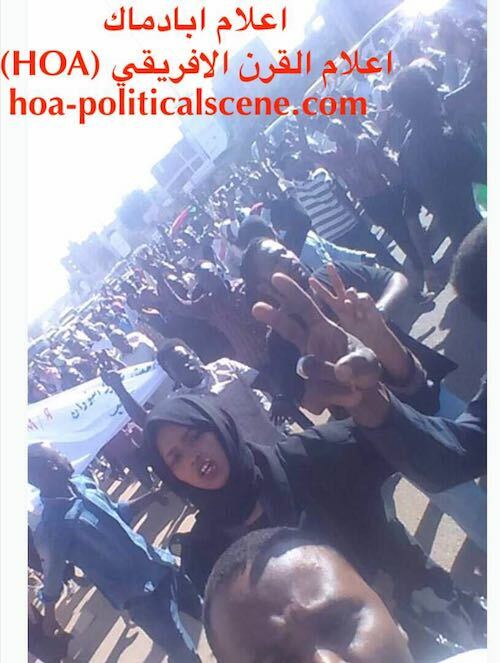 To some levels, the HOA's Political-Section may highlight also some political issues in the International political scene that reflect on the political developments in the Horn of Africa. Yes, the real political development and the real development in every aspect of life, but not the so called development that the Intergovernmental Authority on Development (IGAD) sees. This section analyses the political news and other political events and even the myth of politics, or the politics of myth too. It goes sometimes tough, as some people who look angry to the political crises in the area and I too have concerns in the freedom of speech and good journalism. hoa-politicalscene.com/political-section.html - Political Section: Ethiopian People's uprising in Addis Ababa, Ethiopia with the Ethiopian police detaining people, foreign news broadcasters and observers. Ethiopia: Ethiopia has a great and interesting history, some of which that goes legendary. Here are some historical and political reviews of Ethiopia. You have good reading here in many books from the HOA's Political Scene's Bookshop. Ethio-Eritrean Wars: The Ethio-Eritrean wars are results of the insanity! The last wars deepen the sadness and create human borders between two nice people. Kenya: Kenya high risk AIDS, tuberculosis and other diseases amongst other human crises threatens Kenya. Reports say the numbers of displaced people are rising and the country lacks some more fundraising projects to address these problems. However, a national policy is taken to address displacement issues, prevent future displacement and fulfill the country's obligations under the the Internationally Displaced People (﻿IDPs﻿) act. See Somali displaced people. Somalia: Somalia proves exceptional disaster. Following the news and some political changes and spelling out the causes, will bring Somalia's political problems into the light with more concrete understanding. Those problems are matters of the insanity sometimes. Somaliland: The British Somaliland joined the Italian-Somaliland to form Somalia. It declared independence when the chaos destroyed united Somalia. The new Somaliland state is stabile nowadays. From my personal views during the early eighties, I worked with the Somali National Front on the press area and have published some of their news, reportages and literature. Sudan: Sudan is destroyed even morally. Here are some hidden secret agendas to the political problems in Sudan and the deterioration of the human rights in ﻿Sudan﻿, the media does not see! The Political problems in Sudan have real causes other than these causes some media sources repeat every time and then. Se Darfur, South Kordofan Sudan and South Sudan. 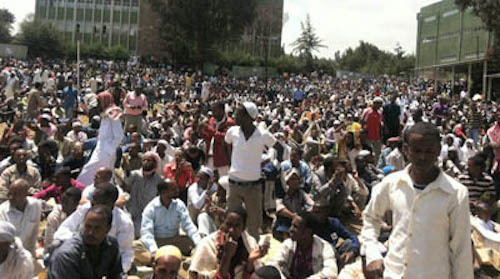 hoa-politicalscene.com/political-section.html - Political-Section: Ethiopian Oromo People's uprising in Addis Ababa, with the Ethiopian police detaining and harassing people inside the country. 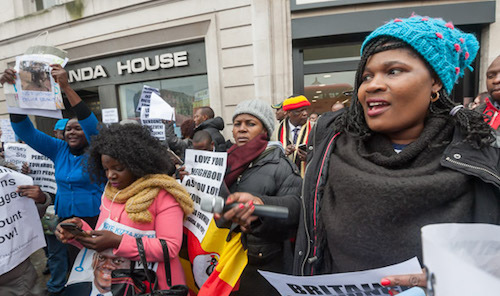 Uganda: Uganda lives in continuous tragedy. The rebels attack many locations inside the Ugandan territories and cause the unrest of the country that continues for many decades. Superstition is the cause of the rebellious acts. 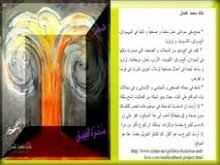 ﻿HOA's Humanitarian Network﻿: Some humanitarian cases here are results of bad political experiments. Some human crises actually raise when the authorities neglect the economical and human resources or invest them wrong to effect the development of these resources. See Awassa and ﻿Awassa Children's Village﻿. Horn of Africa's Friends intends to be platform for inspired people to get together, publish news, write political analyses and discuss important political development in the Horn of Africa. HOA's Environment: Protect Your Environment! Could personal environmental experiences influence you to invent some ideas to share with people in your surroundings and protect your environment? Absolutely! HOA's Environment Protection is a page to get you involved in actions to create your green peaceful world! Here are practical examples to show you how I created an environment organization in the HOA. Read the other political pages on Political Site Map 12 below. 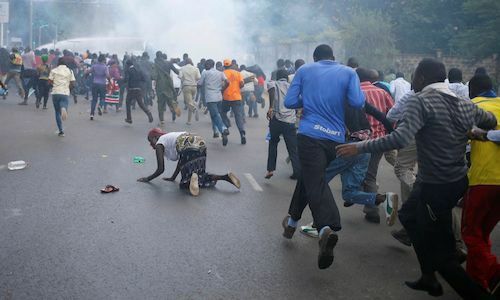 hoa-politicalscene.com/political-section.html - Political Section: Kenyan People protest in the shade of forged elections. HOA's Political Section Including Site Maps! Site map 7 A, Sudan. Horn of Africa's Political Site 25: Readers Write Good. 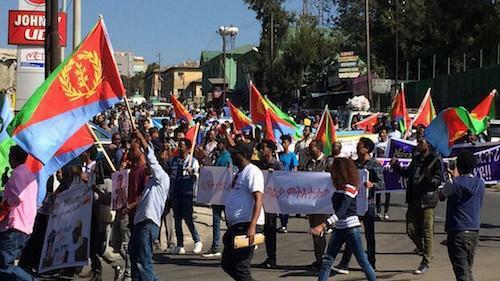 Horn of Africa's Political Section 26: Readers Write Comments. 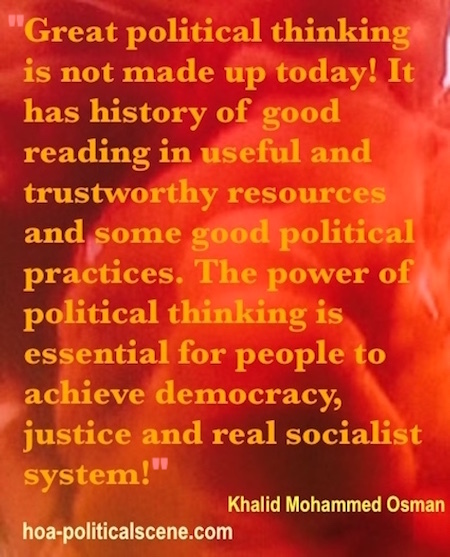 Horn of Africa's Political Site 27: Readers Read Good. 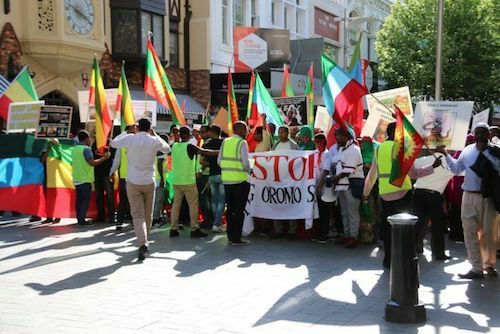 Horn of Africa's Political Section 28: Comments. Horn of Africa's Political Site 29: Readers Comment. Site Map 21: Write about Sudan. Site Map 24: Write about DRC. hoa-politicalscene.com/political-section.html - Political Section: Eritrean People protest in Addis Ababa allowed by the Ethiopian authorities. Since the HOA's section on politics gets larger day after day, we encourage you to look-up any political issue using the political section to get quickly to it. This is the POLITICAL SECTION of the HOA's Political Scene to get you the latest news coverage, fuel your political understanding through complete analyses, and entice your thoughts and analysing senses at this moment to share positive comments. You can use any of those site maps at any of those sections to open new areas of activities every time and then to engage, or to develop what you're already doing in politics. hoa-politicalscene.com/political-section.html - Political Section: Ugandan People protest on the elections eve. Do you know anything about the political development in the Horn of Africa? 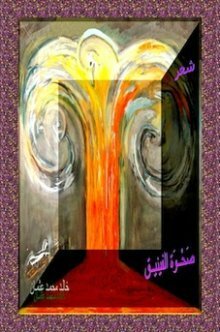 Can you write about politics in the Horn of Africa? OK, use this simple form to let other people read your thoughts. Thanks. However, you can also write about anything in the Horn of Africa. For example, if you were from Djibouti, Somaliland, Ethiopia or Eritrea, you can write about your country, your village, or your city on Any Beautiful City here and let other people know it better. While going through the process to write or comment in the Political Section, please elect to receive email notifications to follow replies to your article and download your "thank you gifts" from the "Thank You" page. Thanks. Far Away from the Dictators! Sudanese Children in Sweden! Here are three Sudanese Children enjoying their time in Sweden near Orebro Castle and feeling the pleasure of a free land and nice people all around. There're no dictators here but only in their homeland. Watch more videos at HOAs Videos and the TV Cinema App. Pleas share the Political Section with services through the buttons below, at the left column or at the bottom of the page. Thanks. Since we specialize in the political issues of the Horn of Africa here, we recommend good some of articles about other African countries at the CNN Africa. The following Site Build It Tools at the bottom of the page empower the Political Section of the HOA Political Scene Blog! They empower actually the entire website. I love them because they make all website building and relevant technologies snap. People from around the world or from around the block could actually use them to build web businesses about any topic in the Horn of Africa or in the rest of the world.